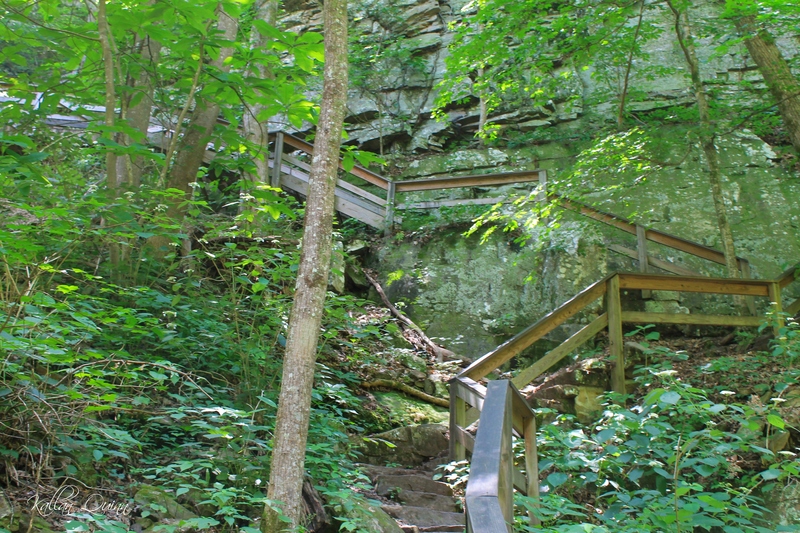 After visiting Rock City, we headed toward Cloudland Canyon State Park in Rising Fawn, Georgia. We were intrigued by the description of this park since it said it had two waterfalls. There is a minimal fee per car to enter the park. I think it was $5 when we were there. 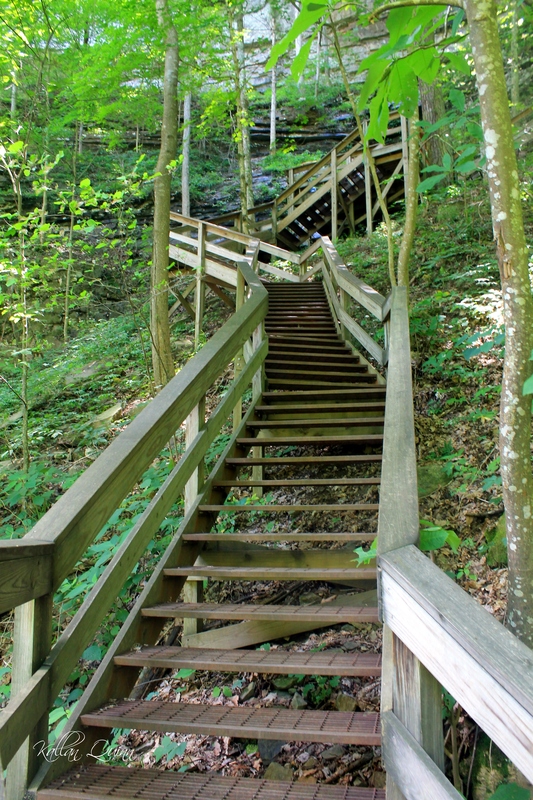 The only downside was that you have to climb something like 600 stairs. Even worse part…the stairs were metal grate-like and our dog wanted nothing to do with them =) So we had to carry her, good thing she is only about 15 pounds. The falls were not running much when we were there, but the hike was fun and the trails were beautiful. 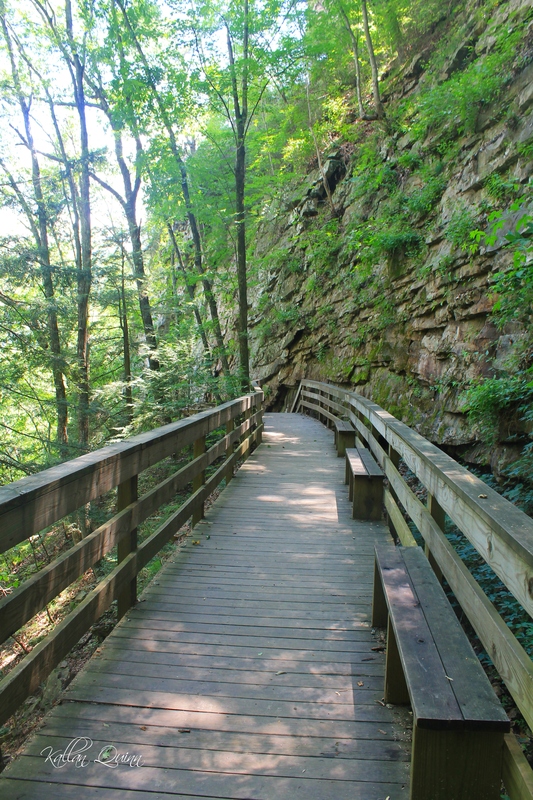 We only did the Waterfalls Trail, but there is a lot more hiking available at the park. Unfortunately, I did not get a great picture of the waterfalls. Good news, after a lot of coaxing with treats, our dog finally climbed the stairs! 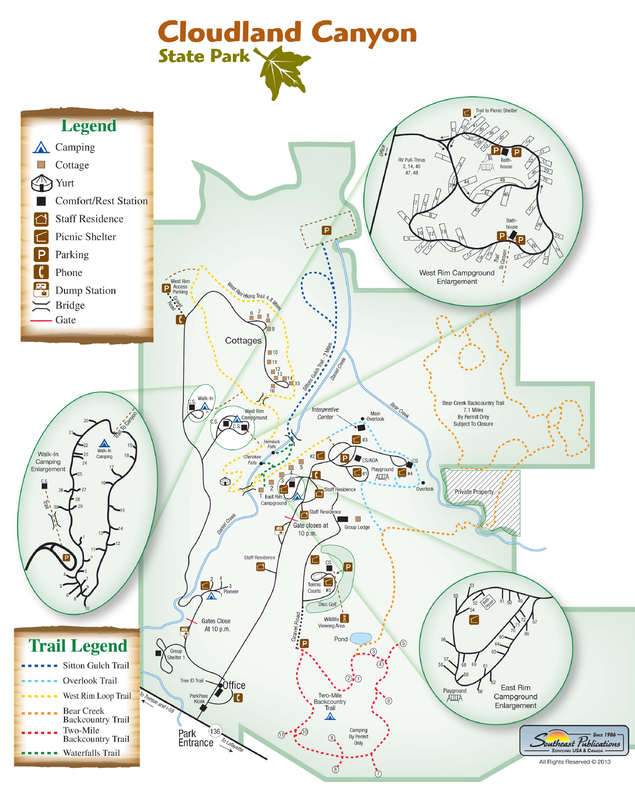 The trail map was obtained from the Georgia Department of Natural Resources website. Be sure to check out their website for more information!